Meet Grady and Murphy, RHES therapy dogs! Meet RHES new "staff members" Grady and Murphy, certified therapy dogs!! Grady Whip is the fur son of our Guidance Counselor, Mrs. Whip. While everyone else was enjoying their summer break away from school, Grady was attending summer school! He had a lot of fun learning and spending time with his friends. He graduated in the top of his class and is now a certified Best Friend's Therapy dog through the Alliance of Therapy Dogs, which is a national association. Murphy is the fur son of Lori and Paco Saunders. 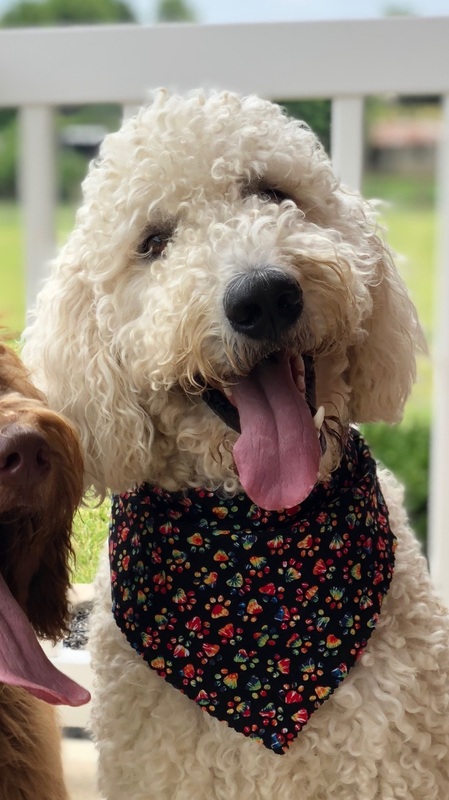 He is a golden doodle from Mechanicsburg, Ohio. 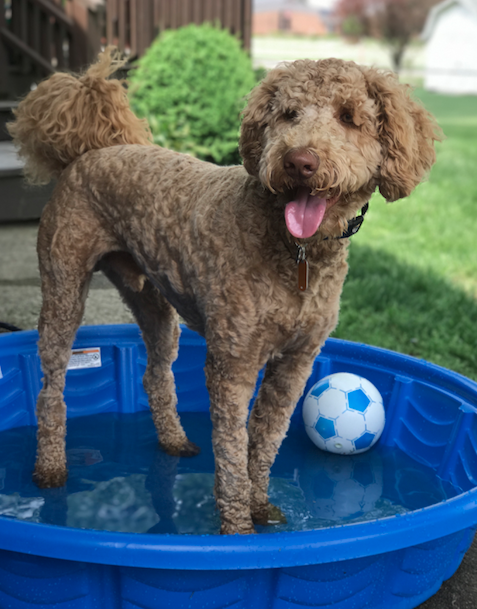 Murphy loves to catch balls, eat biscuits, and play frisbee with his family. Murphy is a graduate of Pet Smart advanced classes where he was the valedictorian. He is also a certified Best Friend's Therapy dog through the Alliance of Therapy Dogs, which is a national association. Murphy hopes to spend time reading with the kids of Rolling Hills but only if the kids pet his belly while they are reading!!! Grady and Murphy will love visiting with our students a few times a month!